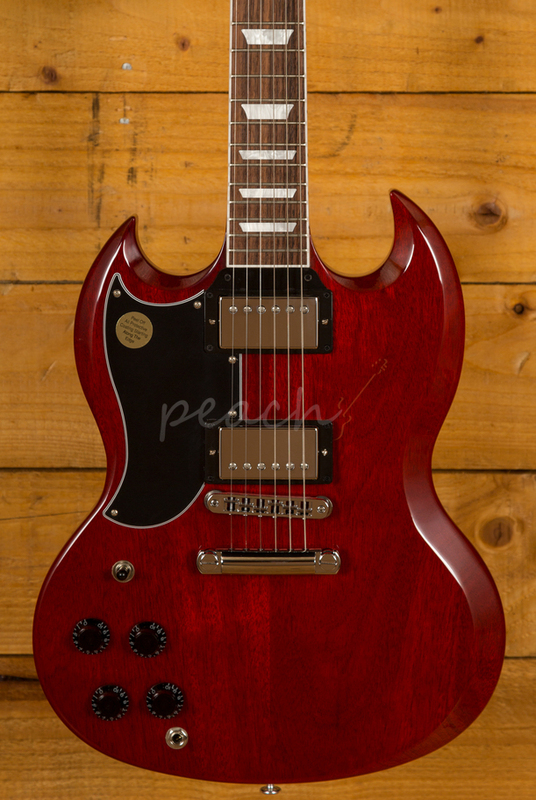 The iconic Gibson SG, one of the all-time great guitars, is back for 2018 and the new standard is better than ever. 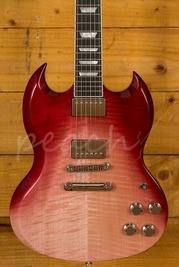 It's great to see Gibson producing more for the left-handed market and this model certainly doesn't disappoint! 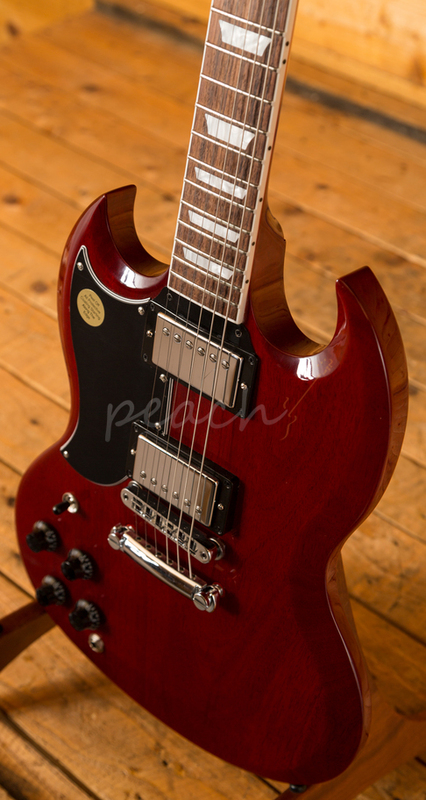 Originally launched in 1961 as a temporary replacement for the single cutaway Les Paul, the SG gained favour with rock and blues players who were impressed by its innovative design. 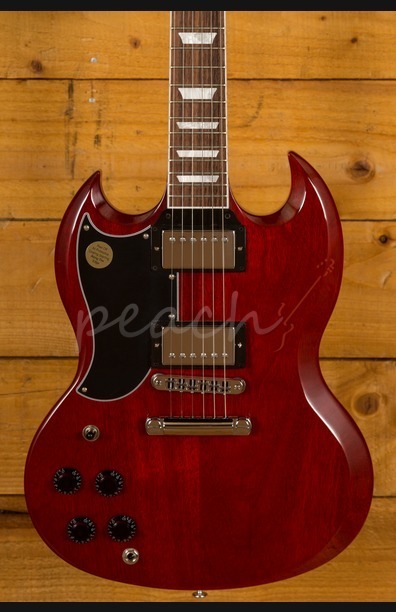 Now, the Gibson USA SG Standard 2018 represents a great mix of early '60s vision with contemporary versatility and feel. 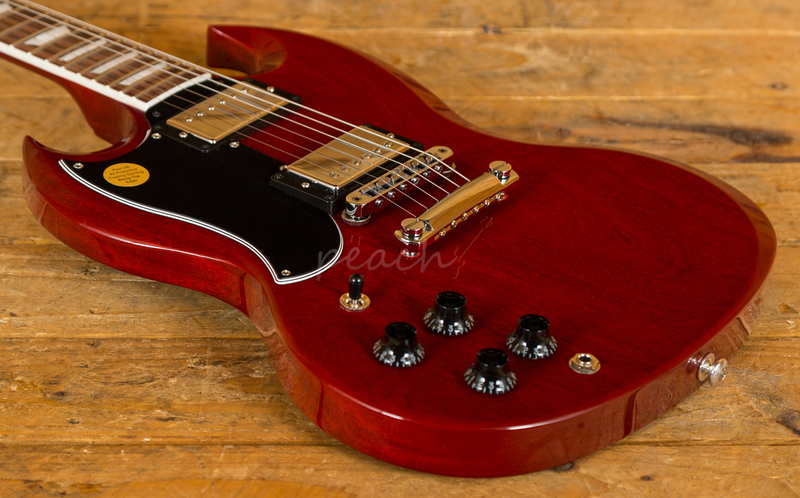 A classic all Mahogany body finished in a gorgeous Heritage Cherry gives this guitar that beautiful vintage Gibson look while a Mahogany neck and Rosewood fingerboard, with its fast and comfortable slim taper neck profile, enhance the rich tone. 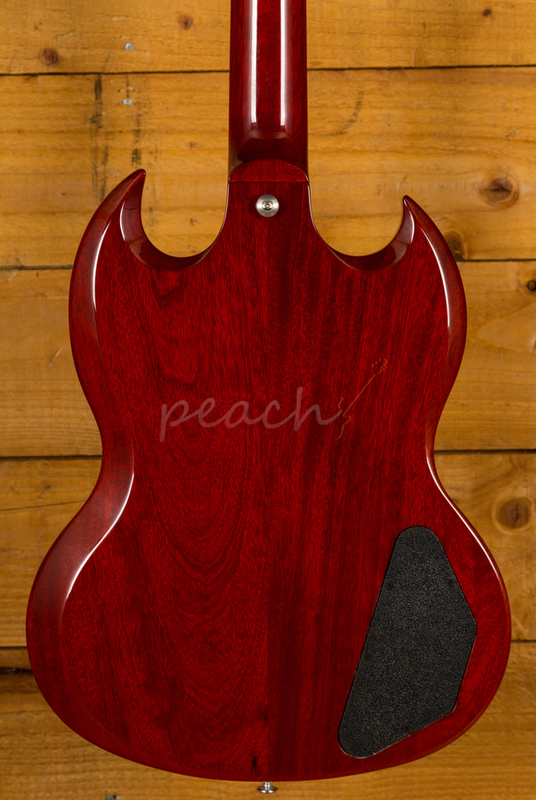 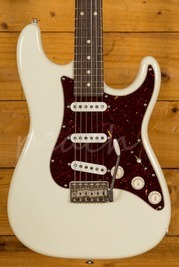 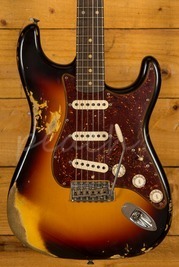 The sweet mid-range crunch comes from a pair of 61R and 61T humbuckers, great PAF style pickups with Alnico magnets. 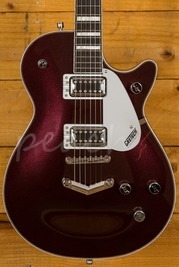 Nice and versatile, it delivers that classic era Gibson tone. 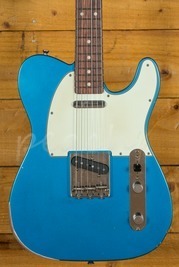 It's a great example of timeless design. 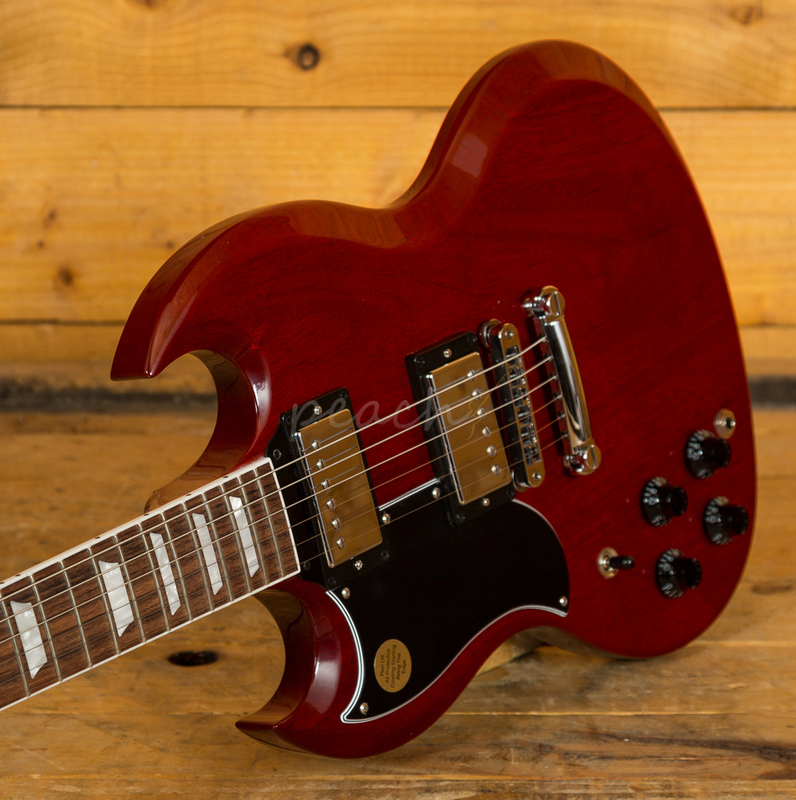 The SG Standard 2018 is delivered in a classic Gibson hardshell case, ready for the road it’s a real workhorse guitar.